Our third shortlist in the 2016 Coffee Spot Awards is the “Coffee Spot with the Best Basement” Award. As regular readers will know, I have a soft spot for Coffee Spots with good basements. In 2015 this went to Daisy Green. To some, a basement is a dark, sometimes dingy, cramped space. However, when they are at their best, basements are cosy, welcoming spaces that provide the perfect spot to curl up with your coffee. This award celebrates those Coffee Spots with outstanding basements, the sort of places you want to go and spend all day in! You can see the shortlist after the gallery. 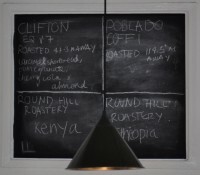 There are 12 Coffee Spots on the shortlist this year, all listed in order of publication. Tilt opened its doors on Birmingham’s City Arcade in November last year, making it, as far as I know, just the UK’s second speciality coffee and pinball joint. Mind you, Tilt’s not just coffee-and-pinball. It’s coffee-craft-beer-and-pinball. And wine. And spirits. And loose-leaf tea. Plus there’s a cracking basement downstairs which, during my visit, was only partially open. Tilt is also shortlisted for the Coffee Spot with the Best Lighting and Best Espresso Awards. Cardiff’s Little Man Coffee Company is an excellent multi-roaster which just happens to have a bank vault in the basement. Whatever you do, don’t get locked in. If that worries you, then there’s also another basement seating area without an armoured door. Little Man is also shortlisted for the Most Popular Coffee Spot Award. Technically the basement at Taylor Street Gallery near Monument in London is a training room, but do go down for a peek! The upstairs has something of a basement feel to it as well. Taylor Street Gallery is also shortlisted for the Best Filter Coffee Award. Chester’s Jaunty Goat is another one that is in on a technicality. Is it a basement or not? Well, you have to go down a (short) flight of steps to get in and it feels like a basement, particularly at the back, where the exposed stone walls give it a really cosy feel. Anyway, these are my awards, so I’ve included it in the shortlist. 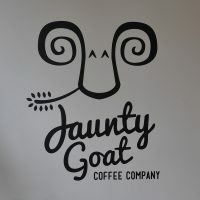 Jaunty Goat is also nominated for the Best Physical Space Award. There is no doubt that Liverpool‘s Panna is in a basement, so much so that in the winter, it’s easy enough to walk by without noticing. Although in a fairly nondescript modern building, the actual basement has bags of character. There’s also outside seating in the summer if you don’t fancy the subterranean vibe. Copenhagen Coffee Lab in Copenhagen, not to be confused with the Copenhagen Coffee Lab in Lisbon (which also has a basement-like feel to it) is a genuine basement, down a real flight of steps. What’s more, it has multiple rooms to it, giving it plenty of space, but each with its own intimate atmosphere. Even better, the coffee, which is all roasted in-house, is excellent! 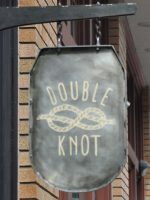 Philadelphia’s Double Knot is another one that the purists might object to. From the outside, Double Knot seems a very modest place, but step inside there’s a sumptuous interior upstairs, all done out with a speakeasy like atmosphere, complete with full bar. What’s more, there’s a full service restaurant downstairs in the basement (which is bigger than the coffee bar upstairs!) If you get a chance, do pop down, since it’s as sumptuously-appointed as the upstairs. Double Knot is also shortlisted for the Best Filter Coffee Award. Birmingham makes it onto the shortlist for the third time with the sumptuously appointed 200 Degrees. The basement in question, like that at Taylor Street Gallery, gets in on a technicality, since it’s houses the barista school rather than being fully open to the public. Don’t let that stop you from popping down to have a look though. 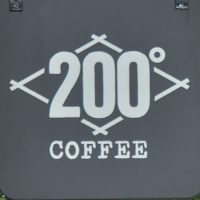 200 Degrees is also shortlisted for the Best Physical Space Award. 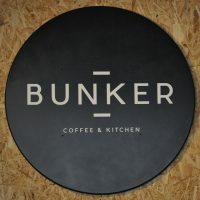 So, my reasoning is that since I’ve included Newcastle‘s Bunker Coffee & Kitchen, then I really must include the new Flat Caps Carliol Square, which is in the same physical space (Flat Caps took over from Bunker earlier in the year). If anything, though, the space is even better under Flat Caps management! Flat Caps is also shortlisted for the Best Breakfast Award. There can be no doubt about the qualifications of the qualifications of the final entry, the latest branch of Manchester‘s Grindsmith chain. Sharing space with Chop’d, it is a salad bar upstairs and cosy, co-working space down below in the basement. 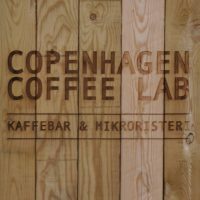 Copenhagen Coffee Lab, Lisbon: the Copenhagen Coffee lab almost made it on twice! 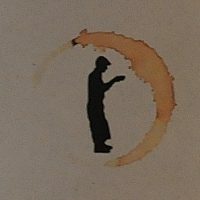 Don’t forget to check out the other 19 Coffee Spot Awards for 2016. If you liked this post, please let me know by clicking the “Like” button. If you have a WordPress account and you don’t mind everyone knowing that you liked this post, you can use the “Like this” button right at the bottom instead. Don ‘t forget that you can share this post with your friends using the buttons below. 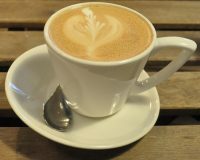 This entry was posted in Coffee Spot Awards by Brian Williams. Bookmark the permalink. All material on this website, including all words and images, is, unless otherwise noted, the copyright of Brian Williams and may not be used without prior written consent.